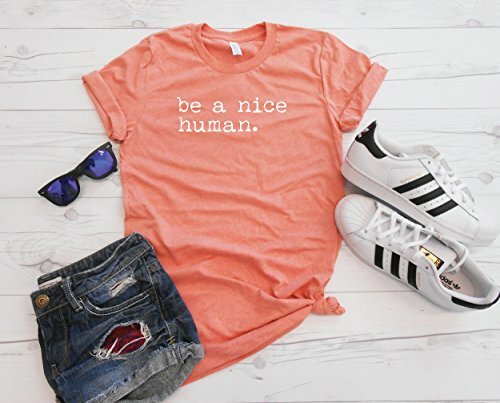 Be A Nice Human by Strong Girl Clothing. Super soft, Unisex fit t-shirt. Cotton/poly construction. Each shirt will feature our Strong Girl Clothing logo on the bottom left front corner of the shirt. If you have any questions about this product by Strong Girl Clothing, contact us by completing and submitting the form below. If you are looking for a specif part number, please include it with your message. By Mia Bella Clothing Co.